Beautifully remodeled condo in Harbour Point! 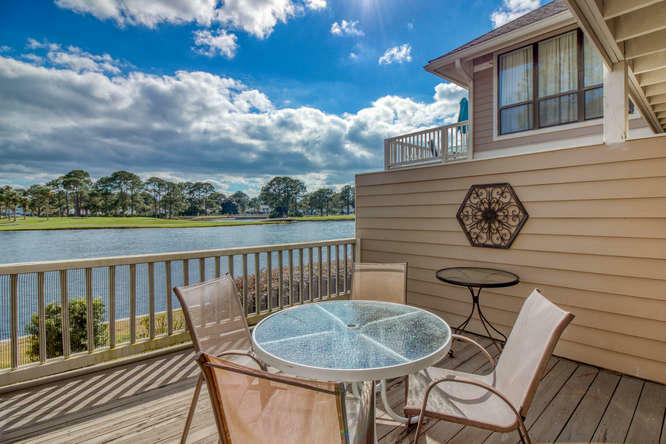 This unit has something for everyone - golf course AND water views! 2 Bedroom, 2 full bathrooms. Newer Hardwood floors, fresh paint and a completely remodeled kitchen make this condo really special. Extra large deck is great for entertaining or watching nature on the pond - so many beautiful birds, turtles and fish! Property being sold ''as is.'' Harbour Point is one of the only neighborhoods in Sandestin with a private pool - the pool has stunning bay views and restrooms. It's close to they Choctawatchee Bay, which is great for walking when golfers aren't around!